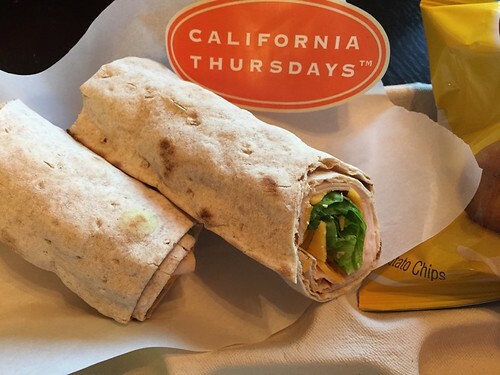 The “California Wrap” was served at many districts across Contra Costa County, a strategy that allows them to purchase collectively on California Thursdays. June is National Fresh Fruit and Vegetable Month! To celebrate this, we’re showcasing the important work of California Thursdays, a collaboration between the Center for Ecoliteracy and a network of public school districts to serve healthy, freshly prepared school meals made from California-grown food. The following guest blog also highlights the inspiring work of the Center for Ecoliteracy, a partner with USDA’s national sodium reduction in schools-initiative, What’s Shaking? Creative Ways to Boost Flavor with Less Sodium. What’s your favorite day of the week? For many students in California — it’s Thursday. On Thursdays, over 1.7 million students in schools that participate in the California Thursdays program know they’ll be offered a lunch freshly prepared from California ingredients. California Thursdays is a celebration of local food, the people who produce and prepare it, and the significant connections that exist between children, food, and their environment. California Thursdays is also a powerful tool to increase consumption of fresh fruits and vegetables, stimulate local economies, and decrease the transportation required for distribution — decreasing emissions and increasing freshness. California Thursdays is led by the Center for Ecoliteracy, a not-for-profit which provides support, inspiration, and resources for the program. Participating school districts adopt the California Thursdays program in their own brilliant and unique ways — as you’ll see in two stories below. Encinitas Union School District’s Farm Lab is a ten-acre farm and interactive learning center providing educational retreats for students and locally grown produce for school cafeterias. 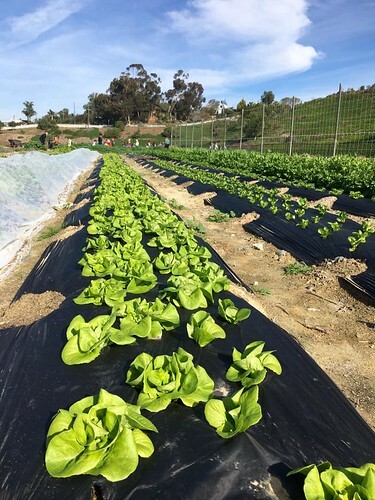 Encinitas Union School District (EUSD) has taken the farm to school movement literally — by building a farm on district property. The Farm Lab serves as both an outdoor education site and a production farm — providing the district’s cafeterias with locally grown lettuces, herbs, zucchini, snap peas, celery, melons, and up to 300 pounds of tomatoes per week during peak season. While much of the harvest occurs in summer when school is out, the Child Nutrition Services team doesn’t miss a beat. They roast tomatoes, shred zucchini (with their industrial cheese grater), and freeze both for a marinara sauce to serve when students return. Herbs such as oregano, basil, and rosemary are dried over the course of several weeks, utilizing repurposed wire food-transport racks lined with parchment paper. Once dried, the herbs are coarsely ground and stored in airtight containers for use in pizza and marinara sauce. Through processes like these, EUSD is able to prepare a delicious, meaningful meal that exceeds USDA nutrition requirements for school meals and inspires change in the conventional school food system. 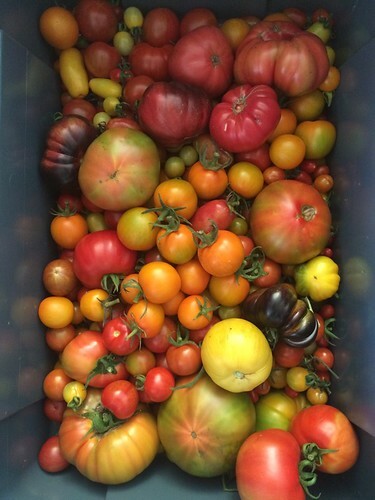 A bountiful tomato harvest from Farm Lab, soon to become marinara sauce and devoured by students. Pittsburg Unified School District (PUSD) and six neighboring school districts in Contra Costa County saw their California Thursdays kick-off in April of 2015, as the perfect opportunity to combine their purchasing power. They agreed to carry similar salad bar options and many served identical entrées, including a “California Wrap” made with California lavash (which is lower in sodium than traditional tortillas), deli turkey, and cheese. For just one day, their efforts translated in purchases of over 4,000 pounds of local produce, including 1,800 pounds of asparagus bought directly from a grower cooperative. “The coolest part,” reflects Sarah Hanson of the California Department of Food and Agriculture (CDFA) “was seeing how the directors worked together and exchanged recipes…and convinced each other that it was okay to serve things like asparagus!” CDFA assisted the group with organizational support and sourcing. The group plans on continuing to collectively purchase seasonal produce in the 2016–17 school year for use in their California Thursdays meals. The effort of these harmonious school districts, guided by a statewide movement, has the potential to invest $1.2 million in Contra Costa and nearby counties and shift the landscape towards a more fruitful future for farmers and students. 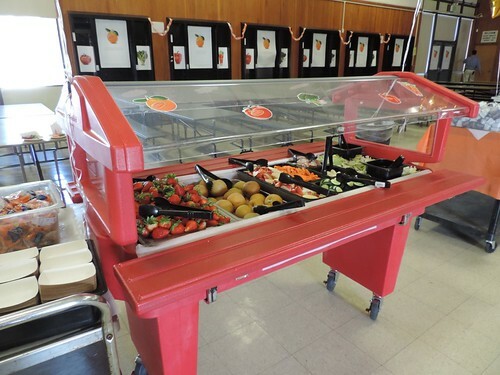 A salad bar at Antioch Unified School District, in Contra Costa County, showcases the abundance of California and the celebration of California Thursdays. For now, California Thursdays is a stepping stone to exemplary school meal programs that connect classrooms, cafeterias, and farms statewide. Maybe someday, every day will be a California Thursday. For more information on California Thursdays, recipes featuring California foods for schools and families, and garden-based curriculum materials, visit www.californiathursdays.org. 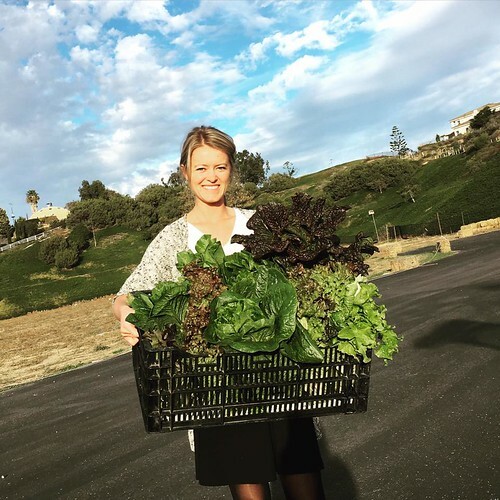 Jennifer McNeil, Encinitas Union School District’s Director of Nutrition Services, displays the delicious lettuce varieties grown by Farm Lab and served on the district’s salad bars.